I LOVE date nights with my kids, and it’s a much-loved tradition at our house. I had one child for almost 8 years, and it was just the two of us everyday. And…we still had date nights. My husband and I traded off, and both of us loved that time with him, with no distractions. Now that we have six kids, we have to work harder to spend quality time with each of them individually, but we feel it’s important enough that we’ve made it a priority, and it goes on the calendar before other things. Life is busy, and sometimes it gets so crazy that date nights mean grocery shopping with mom…but it’s one of their favorites! It doesn’t have to be fancy or expensive…just a child and a parent, spending time together, really focusing on that child, and giving them all of your undivided attention. Asking questions, and really listening to their answer is one of the best things you can do for them, and for your relationship–whether they’re two years old, or sixteen years old. Date nights are perfect for this, and something we think is essential in our family. We have a lot of fun on our dates, and I wanted to share our top 20 date ideas with you! My boys and girls like so many of the same things, that I put all of our favorites on one list. Most of my kids are little–five of them seven and under–so the majority of these activities are aimed at that age group, but quite a few of them are really great for older kids as well. 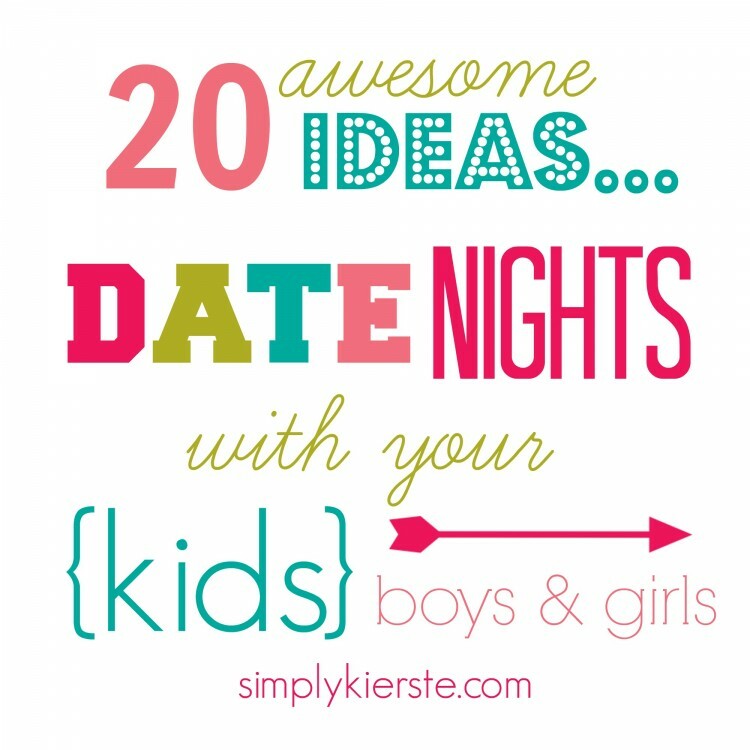 Date Nights with Kids…20 AWESOME ideas! I know it might sound funny, but it’s true–it’s one of their favorites! Our dates always include food, so we go to lunch or dinner first, then head to the store. They love being the one that I ask which kind of ice cream or cereal we should get, and crossing things off my list for me is a big deal. Whether it’s speed bowling, trying to tickle each other while trying to bowl, or laughing about our shoes, this is a beloved date from the tiniest to biggest of kids! My little 3 year old boys LOVE the fire station. It’s more of an obsession, really, so this is way up high on their list. Adding ice cream or hot chocolate is the icing on the cake! Have you ever been on one of these? Going on one with one of your kids is incredibly fun. Start at one place for an appetizer, then on to the next restaurant for dinner, then finally somewhere for dessert. I don’t love movies for date nights on a regular basis, because you can’t talk, but occasionally when there is a new movie that one of my kids is dying to see, we’ll go on opening night and make it a special occasion. Standing in line is great for conversation. :) Dinner or lunch first, and popcorn is always a must! I love one-on-one museum visits, and so do my kids. They get to direct where we go, and which exhibit they want to stay at the longest. Many museums will offer free days—it’s worth a look. It could be a children’s museum, or another in your area that’s really interesting to your child. Which animals do they like best? It’s a great time to find out! Again…look for free days or coupons. I am constantly saving our bread crusts heels for a date at the lake! My little boys are constantly asking me to make paper airplanes, and could fly them for hours around out house and yard. What a fun date–to go somewhere, fold some planes (maybe look up different versions to try), and test them from different points and heights! We love the library! Usually I have all the kids with me, and I’m trying to read to all of the kids at the same time. Most of the time we have to stop a couple times to calm a baby, or wrangle a toddler, so a one-on-one date night at the library is a welcome one. My kids love this alone time, where we can sit and read together, browse through the aisles at our own pace, and get ice cream afterward! Another family favorite! Just like the library, this is the perfect place to meander down the aisles, sit down with a pile of books, and even go home with a new one of your child’s choice! Make your child’s favorite lunch, pack a blanket, ball or Frisbee to toss, and you’ve got the perfect setup for a date! Take advantage of whatever weather you’re having, and enjoy a day outdoors! In the summer you can enjoy hiking, swimming, or canoeing…in the winter months try sledding, tobogganing, or even cross country skiing. We’ve taken kids from very small on up to do all of these things–you can totally start young! I’ve pulled little ones behind me on a sled while cross country skiing, which they’ve all loved. Learning to love and appreciate nature and outdoor activities is SO fun. Be adventurous! !Do you live where there are apple farms (or other farms) or cider mills? During the fall season, this is a great way to spend an afternoon together! Adventures are big at our house. We pack a backpack full of “supplies” (snacks, water, and a treasure or two), then head out to walk the trails around our house. Along the way we pick up sticks, look for bugs and snakes, and collect leaves. Support your local high school, and attend one of their plays! We love the musicals especially, and it’s a great way to introduce your kids to the arts. The tickets are less expensive than larger venues, and it’s fun to see them perform. In our area we have Outdoor Concerts in the spring, summer, and even the fall, and they are so fun! I check for the ones my kids would enjoy, and then plan an evening out with them–a picnic dinner on a blanket, listening to music! One of my most beloved dates is during Christmas time, when I take my girls to see The Nutcracker. We all love it, and it’s become tradition. Learning to enjoy and appreciate different cultural events is something I want to teach my kids, and these are great ways to do it! Going to a local high school or college game is SO fun! Do you have a minor league baseball or hockey team in your area? Tickets are less expensive than professional games, so it’s more budget-friendly. Depending on what’s in your area, and your specific interests and talents, there are really great ways you can spend time with your child, and teach them about serving others. You can rake leaves in a senior citizen’s yard, volunteer at a soup kitchen, sing/play instruments at a local nursing home, or during the holiday season, do a mini Sub-for-Santa. 20. Date Night at Home! Sometimes there isn’t anything better than snuggling in my bed, watching a favorite show, and eating takeout. From my littlest to my biggest, this is always a favorite! 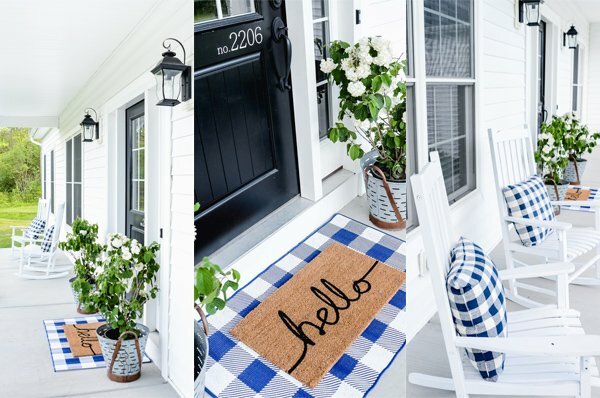 A trip to Home Depot, Michaels, or JoAnn’s…then work together to make a fun project or craft! Happy Date Night! I would love to hear about your favorite ideas for date nights with your kids! CLICK HERE to subscribe to Old Salt Farm for TONS of ideas for holidays DIY, organization, recipes, holidays, and more, delivered right into your inbox! Wow – so many great ideas. You’re such a good mom! I want to start doing this. Do you have a rotation or schedule you find useful in making sure they happen? Thank you! It is one of my favorite things, as well as my kids. We do have a rotation–we do one child every two weeks officially. However…I do my grocery shopping on Saturdays, and I usually take one of them with me–taking turns. They love it!!! Our kids love date nights too! I’m always looking for new ideas to try. Thanks for this fun list! Substitute shredded carrots for bread crumbs – they don’t bloat the ducks tummies!!! Love these ideas! Looking forward to trying them out – thank you!